The birthday box was the first one that I made. I’m really happy with how it turned out. I used my favourite framelits, Labels Collection and the co-ordinating stamp set, Apothecary Accents. 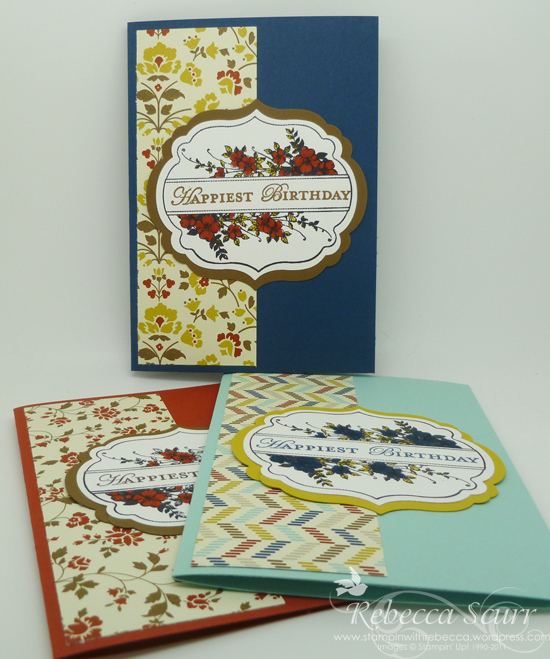 You can’t really tell in the photo but I used the new Festive paper-piercing pack on the Midnight Muse layer. Such a nice touch!! Here are the cards that I made to go into the box. I used the same sketch for each card as it was easy to duplicate. I really like the Comfort Cafe DSP and how it matches with the new in-colours, Midnight Muse and Summer Starfruit. 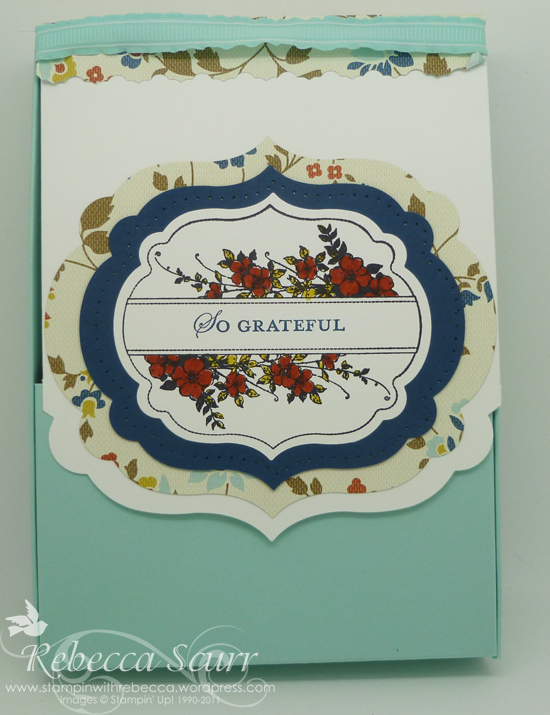 Accessories: Big Shot, Labels Collection framelits, Festive Paper Piercing Pack, Stampin’ Pierce Mat.